Leo Messi, Neymar Jr, Luis Suárez, André Gomes and Paco Alcácer helped celebrate the Chinese New Year by starring in the Club’s video message to its Chinese fans. 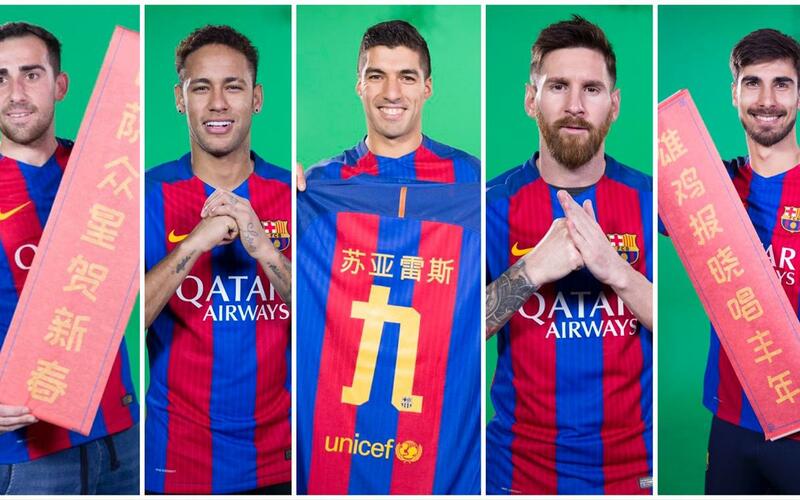 Barça helped bring in the Year of the Rooster, which started on the 28 January. The filming of this official video was by no means easy and the players spent a long time practicing their Chinese. Luckily the Club’s cameras captured some of the funniest moments from the day of filming and we are now sharing them with you! Don’t miss the behind the scenes footage and if you haven’t seen the official video why not watch that as well?